We’re really pleased to be able to let you know that we have now been granted planning permission to bring you Sandy Mount House – a contemporary, design-led bar, restaurant and luxury hotel set to be open all year round in Rhosneigr, Anglesey. 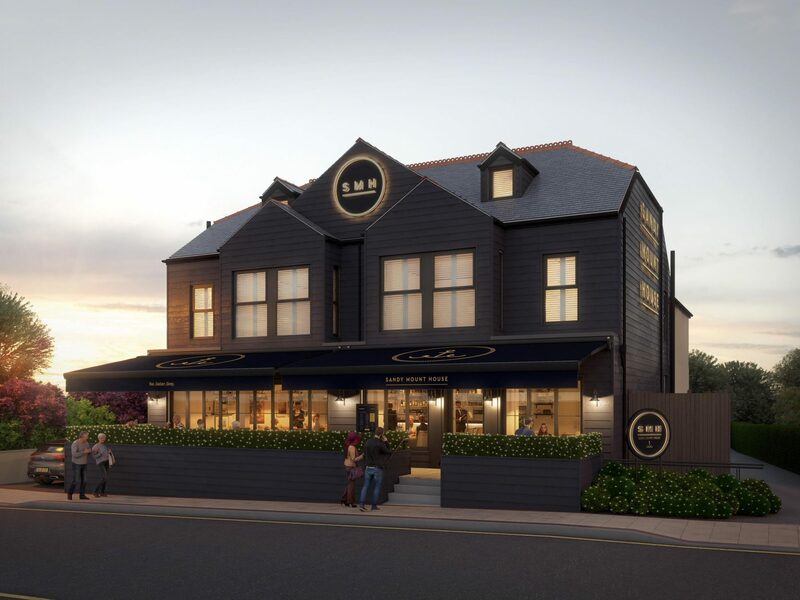 With investment of over £2m, Sandy Mount House is to be created on the site of the former Sandymount on the High Street in Rhosneigr. The development has also been offered funding from the Micro Small Business Fund (MSBF) through the Welsh Government Rural Communities – Rural Development Programme 2014-2020, which is funded by the European Agricultural Fund for Rural Development and the Welsh Government. Construction is due to start before the end of March 2018 and we estimate the build time will be approximately 30-40 weeks, which means we should be opening the doors to this exciting new venue in early 2019. The ethos of Sandy Mount House will very much be around relaxed family dining and entertaining. With a welcoming ambience, delicious food, real ales, craft beers and cocktails, we aim to create a vibrant gathering place for people of all ages and from all walks of life – from kitesurfers, to dog walkers (pooches welcome! ), families and local residents of Rhosneigr and Anglesey, as well as visitors from further afield. We’ll keep you updated with more details as our build progresses but in the meantime, thanks for your interest in the new Sandy Mount House!